This week’s theme of my life as been to pretend that I’m a grown up. You know, 29 years old, mother, and just now dipping my toes in the world of adulthood. Seems about as good of a time as any. 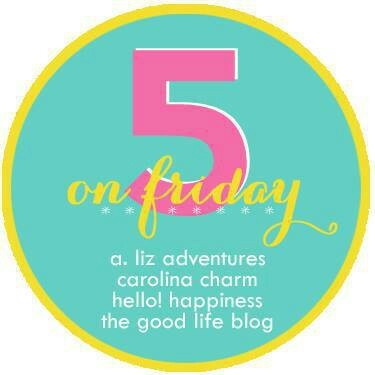 I’m linking up with 5 on Friday to share! 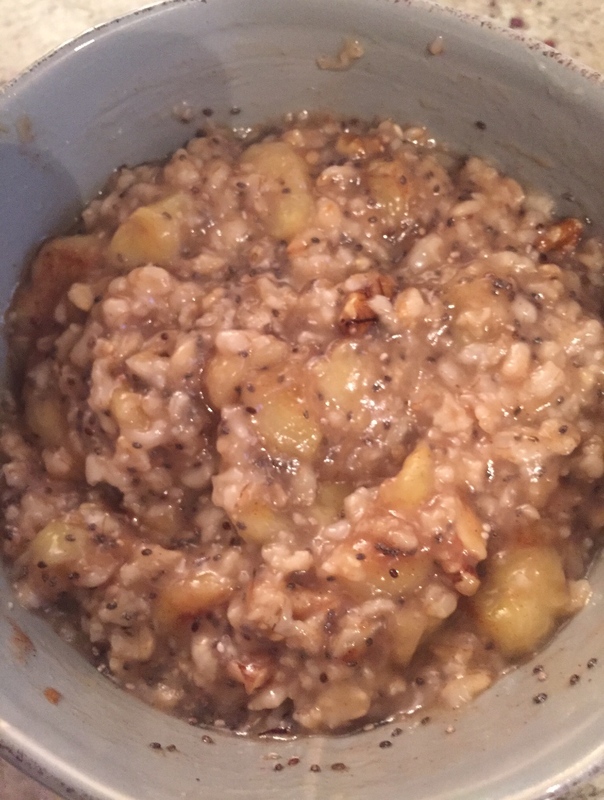 Banana Nut Chia Oatmeal – Do grown ups eat the same thing day after day? Well, this grown up does, certainly. And when I burn out on one delicious item it’s time for something fresh and new. Enter this Banana Nut Chia Oatmeal that I’ve been whipping up quickly and deliciously. Oatmeal is one of things that I’ve always WANTED to like. The idea of oatmeal (bear with me here, y’all) was so comforting and hearty, but the execution made me want to barf. Until this. Prepare oatmeal per directions. While oatmeal cooks, saute banana in coconut oil with cinnamon and brown sugar. In a bowl top oatmeal with warm bananas, additional sprinkling of brown sugar, chia seeds and nuts. Costco – You know you’re a grown up when it’s your husband’s birthday, and you are most excited about getting him a Costco membership. 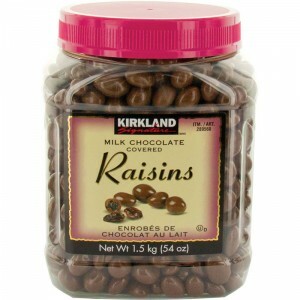 I’ve been tagging along as my mom’s guest forever, but now I am free to stock up on Kirkland’s Best chocolate-covered raisins all the livelong day. Which I fully, fully intend to do. 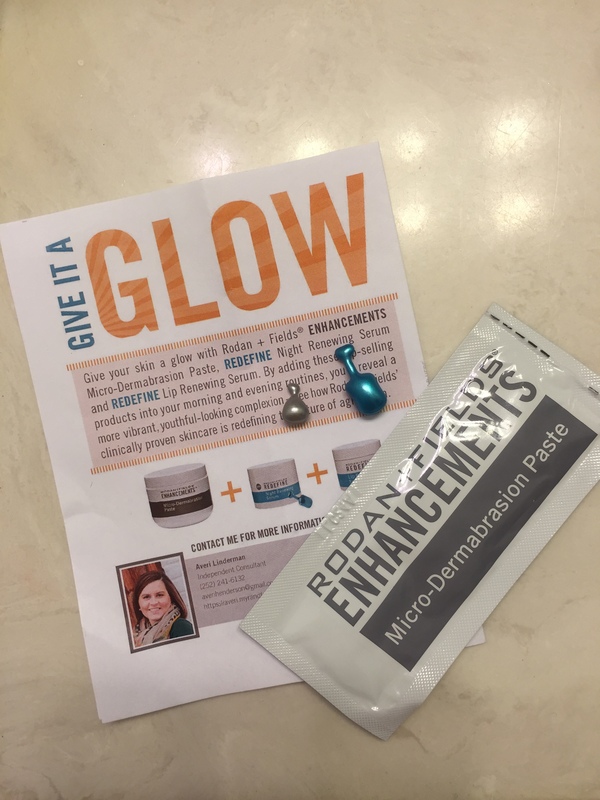 Rodan + Fields – I feel like grown ups probably use “beauty products.” I, on the other hand, use “toiletries” that are on sale, have a coupon and an additional discount through Cartwheel. I used Rodan + Fields years ago and loved the results but ended up stopping. I tend to be wary of direct sales companies and typically rebuff those purchases that must be made through a rep. BUT, my sorority house roommate Averi, a Rodan + Fields consultant, sent me some gift samples this week, and I texted her this morning saying, “I used your products, and I felt fancy.” I also made Davey the Hubbers rub my face all morning and tell me over and over again how great my skin felt… it was that great. I highly encourage switching out your Clean & Clear for these grown up products with Averi as your guide. Shower Hosting – This weekend I’m hosting a shower for my longtime college roommate who nows lives in Pennsylvania. We email each other multiple times a day, and I can’t wait to celebrate her and her sweet babe (they are not finding out the gender) due around Thanksgiving! I’m spending today playing with some decor options. Typically this ladder (which we used at our wedding) holds our blankets, but I’m thinking it’ll be a cute book holder for the party. Such a grown up. 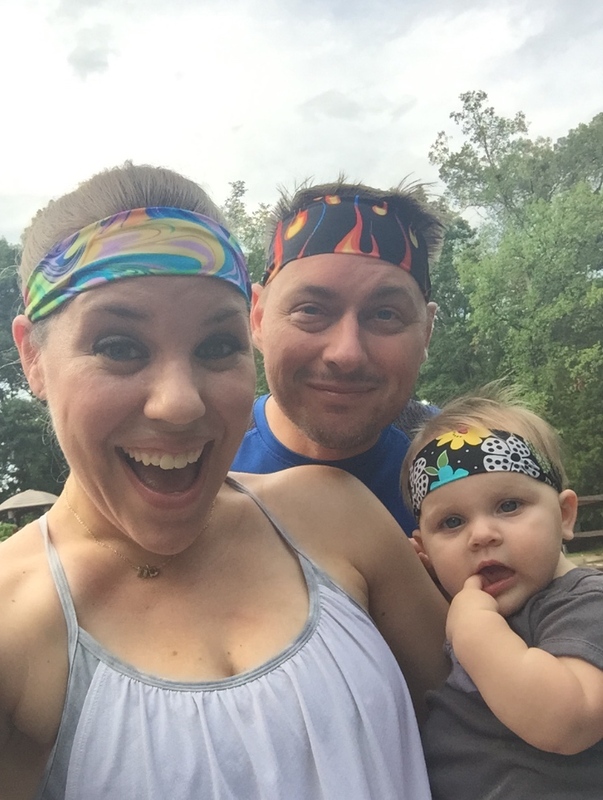 5K – Tomorrow morning, Davey, NB and I are running our first 5K! I know 5Ks are really no big deal, but to us certified non-runners, this is an exciting step! We can’t wait to put on our SuZeeBee buffs and participate in the Rookie Run 5K in the chilly drizzly forecasted for the morning. When we started our running training we were doing intervals of 1-minute run, 2-minutes walk, and now we’re at 8-minute run intervals with 1-minute walk breaks. We feel pretty awesome.